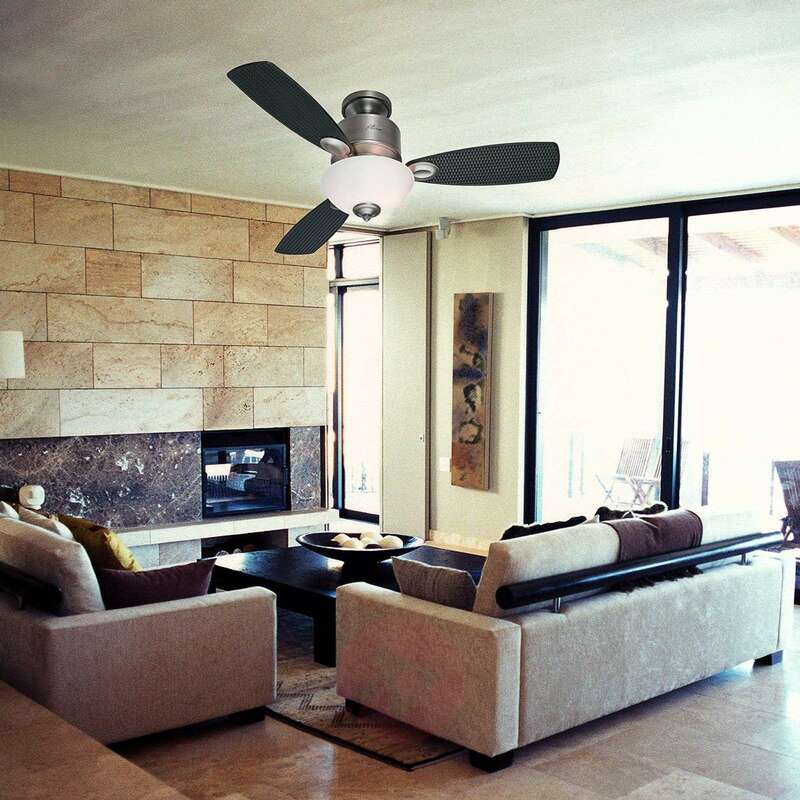 The ceiling fan Kohala Bay, which is equipped with the patented Whisperwind® motor, skilfully combines tradition with modernity. 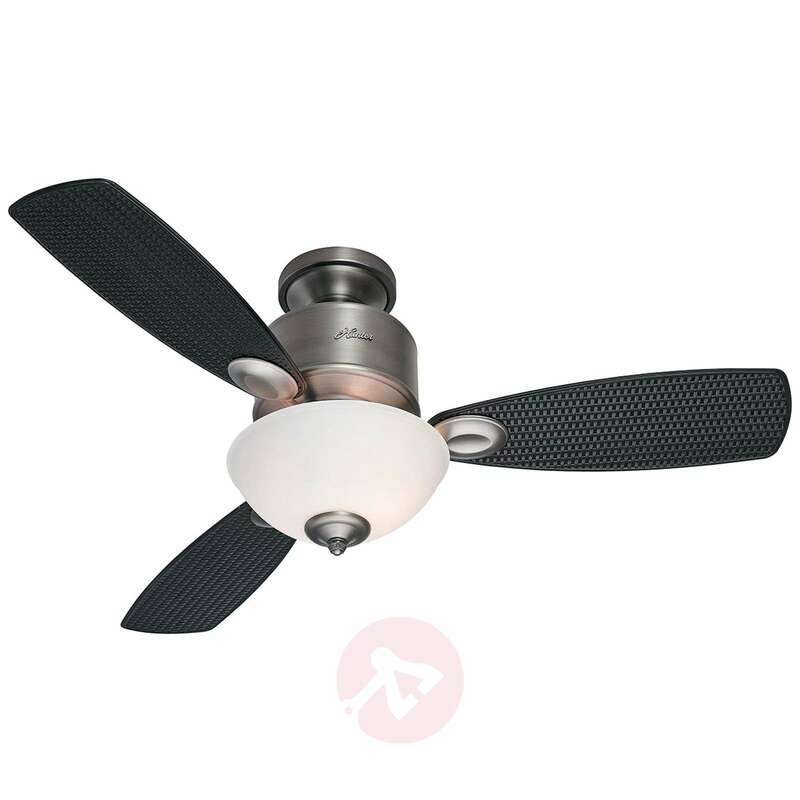 The three matt black plastic blades form a harmonious contrast with the pre-installed white milky glass light. 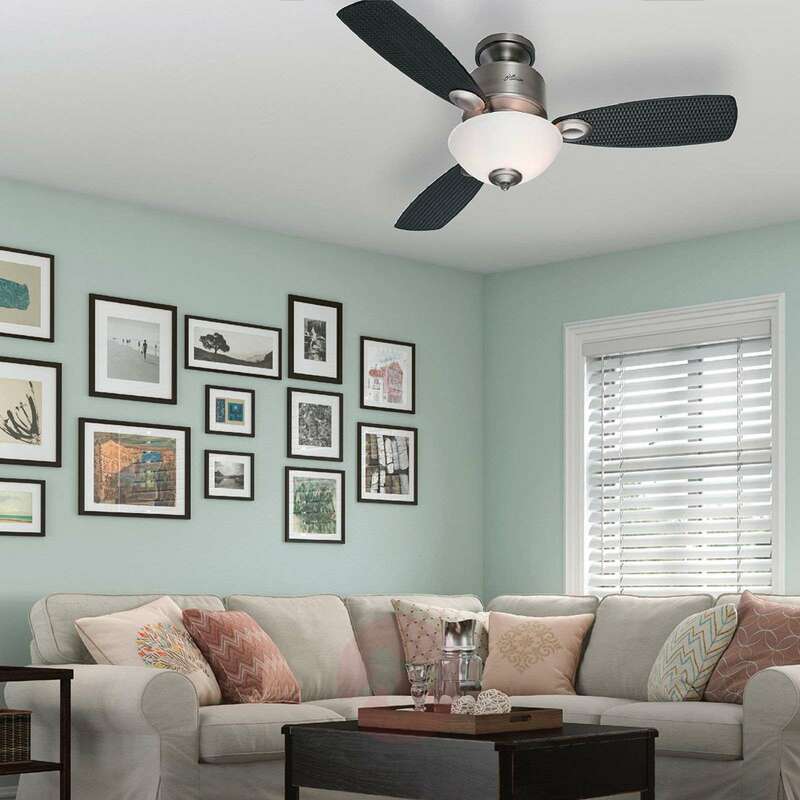 This two-bulb light ensures that this fan model, which is made by the American traditional company Hunter, provides sufficient light, as well as a pleasant indoor climate. A sliding switch can be used to set the rotational direction. 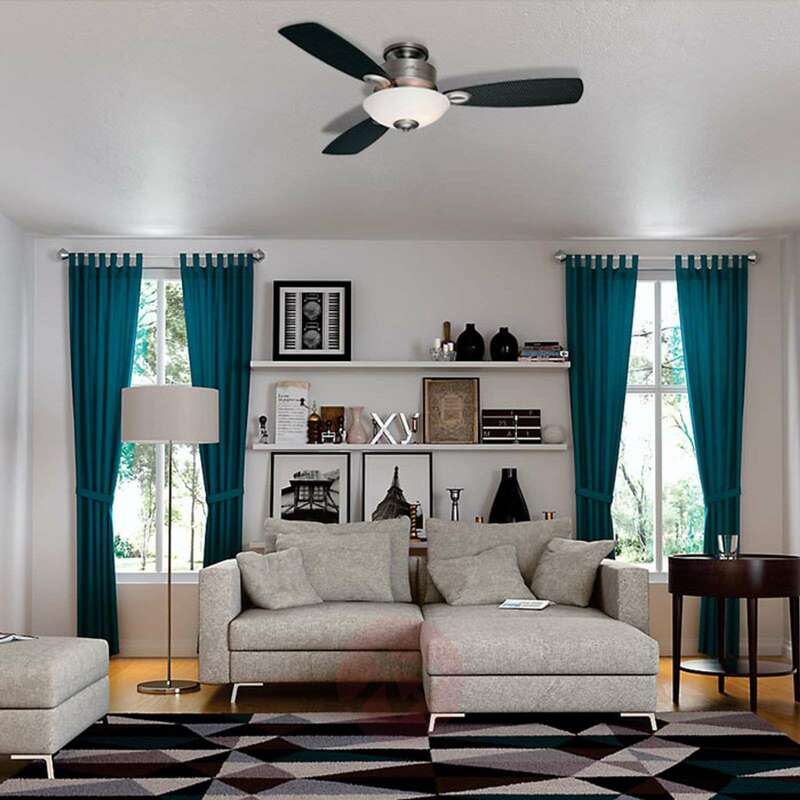 The function of the fan which can be set in this way ensures an optimum distribution of the ambient air – cooling in the summer and saving heating costs in the winter. A pull chain can be used to turn the ceiling fan on and off and to set the three individual speed levels. The light is controlled (on and off) by a separate chain. 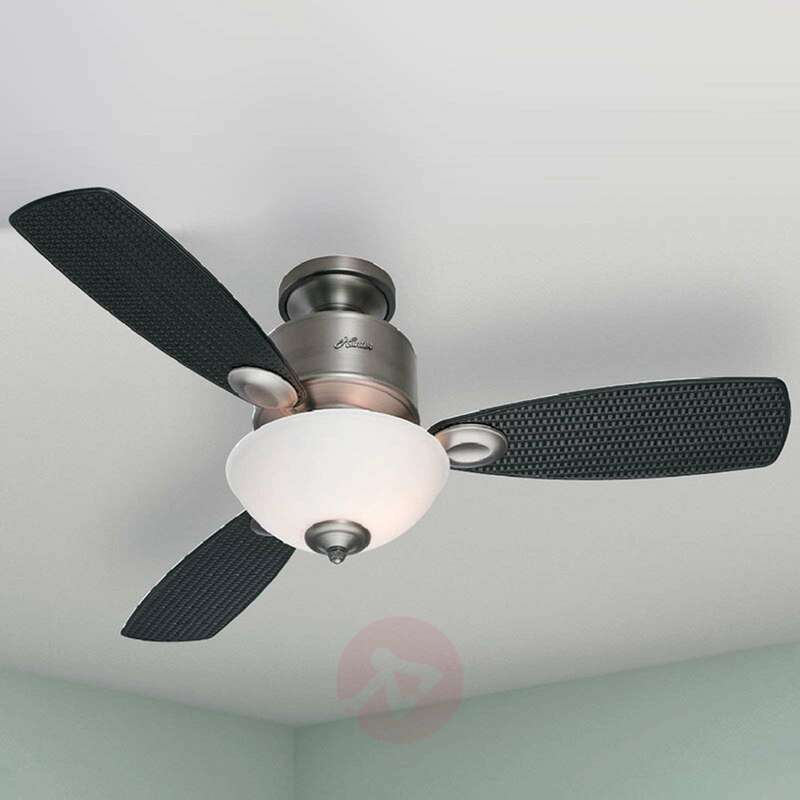 The whole thing can also optionally be controlled using a remote control or a wall switch. Suitable models are available as accessories. Also suitable for installation on sloping ceilings. Due to the energy-optimised motor, a higher air output is achieved with a lower consumption. Very quiet operation and thus suitable for bedrooms. Installation without a light is possible.